Hi all! I've been enjoying my first three days of vacation, reading books on my new Nook, ordering an iPhone4, gardening, going to parties...but no stamping! Go figure! I'll get around to that soon! A few of the girls have been faithful PMS followers and release party goers, and one, Sherry Campbell, was on the Artful Inkables DT with me! So it's now one BIG, VERY BIG PMS family! You can see the announcement and some of the girls' work on the PMS blog! Just a reminder that sneaks for the July release begin on Saturday, July 3 and it's another goodie! Thanks for stopping by and enjoy your week! My JUGs post is after this, so please scroll down! Hi everyone! 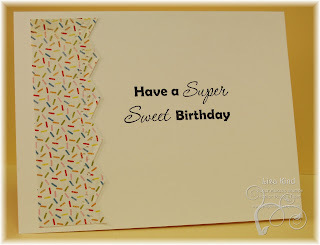 Today is Katie Cotton's (owner of Paper Makeup Stamps) birthday, and the PMS design team is celebrating with a birthday blog hop! 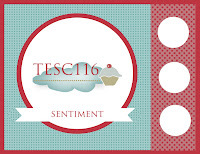 So, if you've come here from Christi Thorsen's blog (and saw her fab card), you are on the right track. 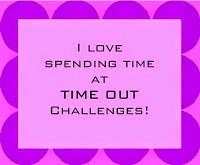 If not, head on over to the PMS blog and start there! Before I share my card, I have to say a few things. I have been part of the PMS team since almost the beginning. I joined the design team in April of last year, two months after it was created. We've come a long way since then! We are a great team, and have become good friends in the process. Katie is the glue that holds us together. She's a great young lady who has taken Paper Makeup Stamps to where it is today. She is a great person to work with and very generous. I'm so happy to be part of this team and call her my friend. So Happy Birthday, Katie and enjoy your hop! I chose this set, called Sprinkles and Cherries from Paper Makeup Stamps because of the sentiment. I used Basic Grey's Cupcake dp and paper pieced the cupcake. 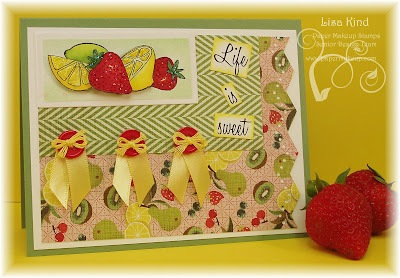 A Martha Stewart border punch was used on the red piece and I topped it off with a pretty yellow bow. I also added some Star Dust stickles to the "sprinkles" on the cupcake. 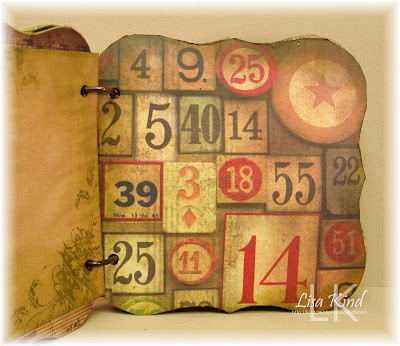 I added the sentiment from the set to the inside with the dp punched with the same border. 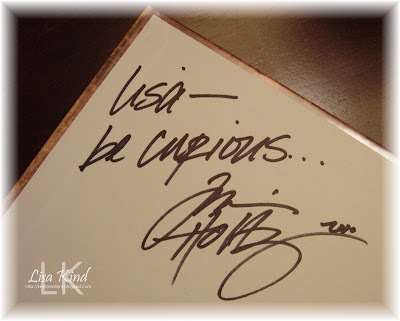 Now you have to go to Tangii Crain's blog and see the wonderful birthday present she has for Katie! Thanks for hopping with us today! 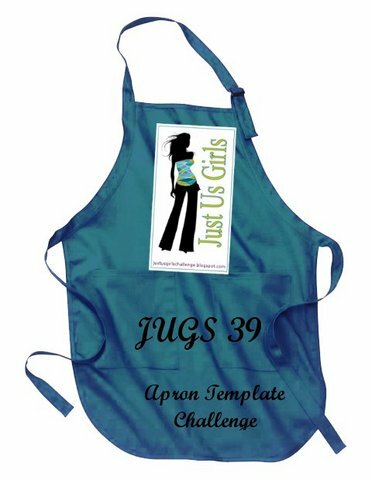 The Just Us Girls challenge today is a template challenge, and Maria challenged us to make an apron card. 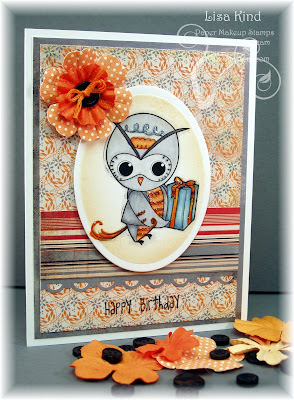 The template can be found here and it's a really fun and easy card to do! Here's what I came up with. I just purchased this dp from Graphic 45. It's called Tea Time from the Domestic Goddess collection. I printed out the template for the base, then reduced it for the dp. 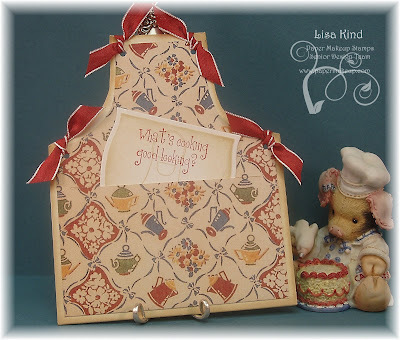 For the pocket part, I put a tag that you could write a message on.I cut out the tag with a Nestie, distressed the edges with Antique Linen distress ink, and stamped the apron from Paper Makeup Stamps ,called Tina's Kitchen, in the same ink. The sentiment, also from Tina's Kitchen, was stamped in Riding Hood Red. 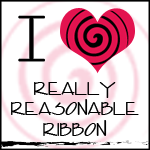 I added the ribbon and was done! Did you notice my card holder? Can you guess what it is? Isn't this cool? I saw it on someone's blog a while ago, then a few weekends ago we had our annual Allentown Art Festival here in downtown Buffalo (a FABULOUSLY, HUGE art show) and I saw it in a booth! I had to have it! 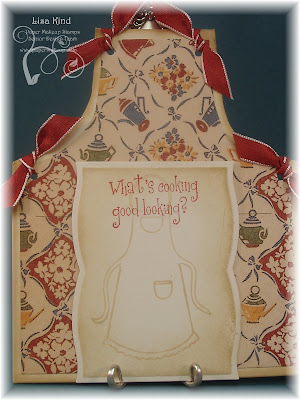 And it was perfect to use for this challenge card, as it doesn't stand and it's a apron (fork-food-apron...see the connection?). OK, maybe I'm too excited about this, but I love it! That's all I have for this template challenge. Stop by the JUGs blog to get all the information on the challenge and see the girls' cards! Please stop by their personal blogs as well...you can find them on my sidebar. 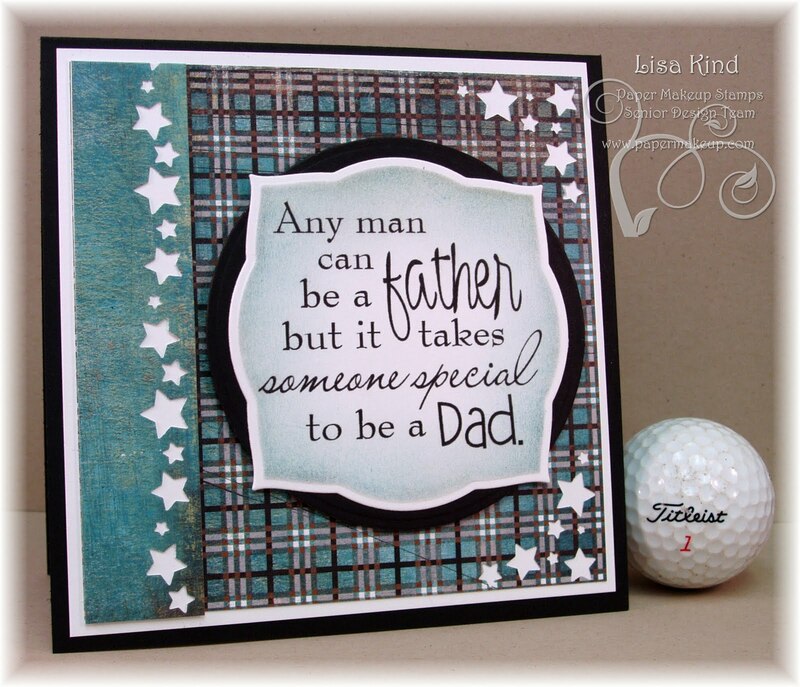 Happy Father's Day everyone! I'm at breakfast right now with my in-laws...yum! I'm not sure what the rest of the day will bring, except a spaghetti dinner my MIL is making later. I just hope it's a nice day! Here is the Father's Day card I made for my FIL. The wordart is a freebie from Paper Makeup Stamps that you can pick up on the PMS blog. Our DT member, Shaela Odd, created it for us. Thanks, Shaela! It really helped me out today! 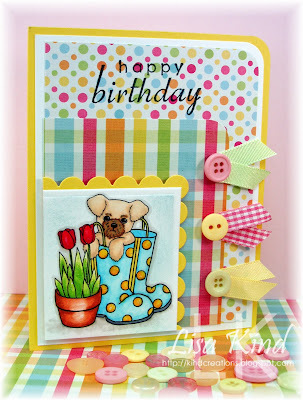 This card went together in about 15 minutes....love that! I swirled some baja breeze and sahara sand inks around the image. The dp is Max & Whiskers from Basic Grey. It reminds me of the flannel shirts my FIL wears to keep him warm! (He doesn't golf....I just like the way it looked in the picture!) I punched the star border along the blue edge and used the corner punch on the two corners. Easy peasy when you don't have to put ribbons, flowers, or crystals on it! The dp is from The Sweet Stack from DCWV, and it's all one piece. The bottom was decorated already, so it made my job easy! The image and card base are pink pirouette. The pearls is one of those flourishes that I cut apart to fit in the corner. I just wish I could have gotten a bow in there or something. It just seems to need something more! Stop by the JUGs blog to see the fab designs they came up with! You should stop by their personal blogs too...you can find them on my sidebar. And also stop by the PMS blog to check out their challenge! Thanks for stopping in today! Enjoy your weekend! 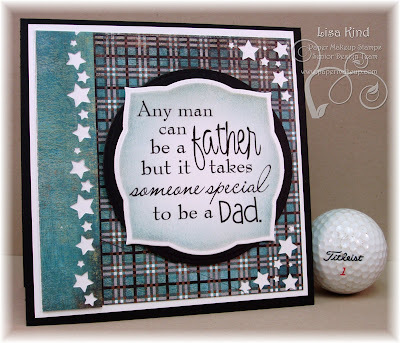 I'll probably have a father's day card here tomorrow! This is going to be a quick post tonight! I received a gift today from a student in our 5th grade that isn't even in my classroom! I thought it was so thoughtful, that I had to make a quick card to give to her tomorrow. 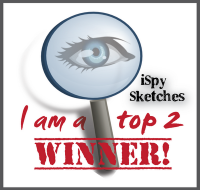 I saw the sketch on Splitcoast Stampers today and it fit the bill perfectly! 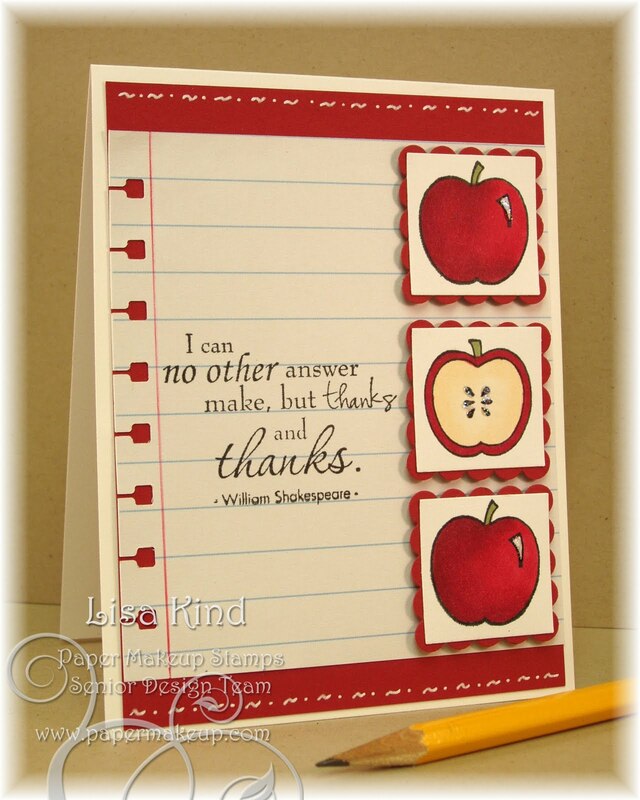 I saw a few teacher cards in the gallery with apples, so I decided to pull our my Apples to Apples and Everyday Thanks sets from Paper Makeup Stamps. The notebook paper is something I picked up at my LSS. I drew the red line with a red pen, then punched the side to look like it was ripped out of a spiral notebook (something I HATE when my kids do...I hate that ragged edge on their papers, but like it on my cards...go figure!). I doodled a little bit with a white get pen on the top and bottom of the red piece, added a little bit of star dust stickles on the apples and was done! I was having a hard time keeping all that white above and below the sentiment, but I had to let it go! I'm a "more" crafter, so let me tell you it was definitely difficult to let it go! LOL!! Thanks for stopping in today! PMS has a great new challenge coming out on Friday, so make sure you stop by the PMS blog! Hi everyone! 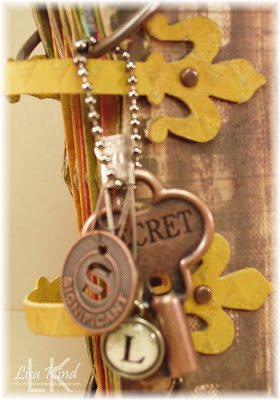 Well, yesterday was an exciting day for many girls in Buffalo...we got to take a class from none other than Tim Holtz! The owner of our LSS, Sharon from Buffalo Stamps & Stuff, managed to get him to do 4 classes over this weekend. I must say that Sharon is a lovely lady and has the most FABULOUS store! It's like "Cheers" where everybody knows your name! You walk in and get an immediate greeting of "Hi Lisa!" Love that! She has taken many of Tim's classes and has met him many times. It's no wonder that he wanted to come do these classes for her! 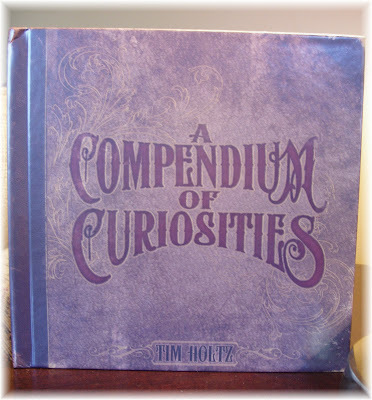 You can read what Tim had to say about it here and here on his blog! I have lots of pictures to share, first up being me and Tim, of course! OK, a little blurry, but it's really me and Tim! (We had to wear name tags, so that's the white thing on my black shirt...oye!) He's cute, isn't he? My friends, Cheryl Rowley and Tracy Harp, took the class with me as well. It was called Generation Grunge, where Tim (we're on a first-name basis now ;-)!) showed us all his grunge material and how to work with it. And work with it we did! This is the final project I created. I have to tell you all the steps that went into this amazing project. First, we had to cover the grunge board pages and cover pages with his paper. 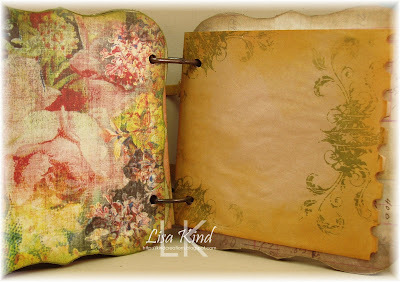 We used a multi-medium matte glue from Claudine Hellmuth Studio. Great stuff! We sponged it on the grunge board, put the paper on top, then SAT ON IT to help it adhere while we did another page! This was hilarious watching everyone stand up, sit down, stand up, sit down....! He must have been laughing at us in his head! Then we had to cut the square paper to match the flourished edge. After we did this on one side, we had to repeat it on the OTHER side! This took about an hour, no lie! After that step, we used his sanding block to sand all the edges to a white color. My arm was KILLING me after that process! (Mental note: lift more weights to strengthen the arms!) My black shirt was also covered in dust! Then we had to ink up and distress the edges with his Distress inks. Here's a picture of the pages. I think I would have done a little better at the sanding if I had lifted more weights before the class! We also stamped and distressed bags that had a little sheen to them. Isn't that flourish fabulous? And look at that paper...I'm in love with that floral design! Then we put the flower together and added the embellishments. The flower was cut with his die beforehand and we "distressed" it with his cool Craft Scratcher tool. It has little metal "fingers" that pull the strands from the material and makes it lookes more distressed. We added some tulle and a pretty button. The knob was so cool...it had a screw attachement. The birdcage was also cut with his die cut beforehand, and we painted it with his paint daubers, scratched it up with his sanding block, then distressed it with distressed ink. The bird was all ready for us to add some ink to it and some distress stickles. We also added the crystals to the cage with jump rings. So pretty! Next up was adding the "hinges" and hardware. We added our inital for the one piece. So that's it! I have to admit that I'm not sure this is totally my style of stamping, but I am "curious" to investigate its possibilities! I'll have to play around with it to mix up my style a bit. Stay tuned to see what I do! Thanks for staying with me on this long post! I'd love to hear what you think! Hi again everyone! Wow! I cannot remember when I've had two posts in one day! Please make sure you scroll down to see my JUGs card...I'm really proud of that one! Today some of the Paper Makeup Stamps design team are reviewing the newest set released this week called Tweet Things. It has the cutest birds in it and some really great sentiments. I used the hummingbird image on a card I did here. You can see more of what the DT did on the PMS blog. Now here's what I did today. Now are you going to sing that song all day that we all sang as kids? Two little birdies sittin' in a tree...k-i-s-s-i-n-g? Remember that one? LOL! That's all I thought about while making this card! This cute image could be used for a variety of occasions....Valentine's Day, an engagement, wedding shower, just because. I started with the Taylored Expressions sketch. The dp is Basic Grey's Bittersweet and the cardstock is SU's Pink Pirouette and Soft Suede. I love pink and brown together! They are separated with some pink rick-rack that matched perfectly, and the flowers are glittered and I added the pink square crystals to the centers. The image was colored with copics and cut and embossed with a circle nestie, then backed with the big scallop nestie that I just got this week! I added some star dust stickles on the hearts. The sentiment was stamped in Chocolate Chip and I made a wavy banner using tape and glue dots to hold it down. I did some sponging and was done! Make sure you stop by the PMS blog to see what they did with this set and the PMS store to see the June release! I have to mention one more thing! 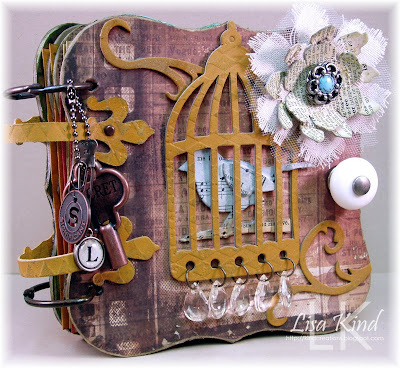 I am going to a class today taught by none other than Tim Holtz himself! Our LSS, Buffalo Stamps & Stuff, was able to snag him for this weekend to do 4 classes! I'm taking one called Generation Grunge. It's a four-hour class! My friends Cheryl Rowley (I was just talking to her on the phone) and Tracy Harp are going with me! I'm sure we'll have a great time and some pictures on my blog tomorrow, so make sure you stop by! Thanks for stopping today, and make sure you scroll down to see my JUGs card! 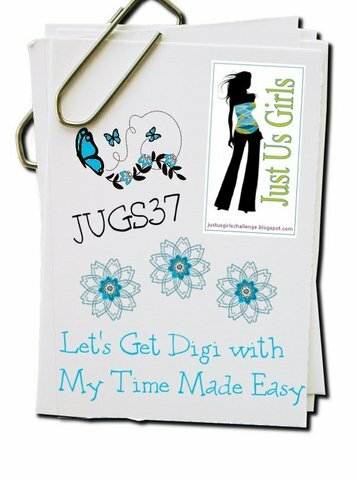 Just Us Girls - Let's Get Digi! Just Us Girls has gone digi! This week's technique challenge is to use a digital image or digital paper on your creation. We are being sponsored once again by My Time Made Easy. Lauren Meader has many of her images for sale in digital format, and that is what the JUGs girls are using. The image I'm using today is from the Take Time for Petal Perfection digital set. I am really happy with this card for a number of reasons! First of all, I didn't have to color it at all! Not because I don't like to color....I LOVE my copics and coloring. I didn't have to color it because I "colored" it digitally in Paint. This is the first time I've EVER done this, so I am really proud of myself. The image was printed on white cardstock...I made the background blue on my computer (I am all giggles right now about this!)! Second, I was able to crop the image out of the set too, which is a feat for me as well! I'm not sure this is something I will do on a regular basis, but it's always fun to try something new. It's so 21st century! LOL!! (Wait until my students find out what Mrs. Kind did!) I was actually only playing around with this image on my computer and decided I liked it, so I used it! I was thinking I wasn't going to play this week! After printing it out, I cut and embossed it with a nestie. Finding paper to use was a chore! I finally decided on these two from Nana's Kitchen from DCWV. I love how fresh these colors look together! 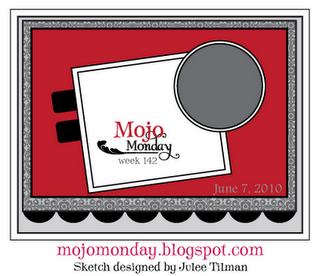 I used this week's Mojo Monday sketch. My Time Made Easy is giving away a great prize to a lucky participant...a digital stamp set AND a digital paper pack! That's reason enough to enter! 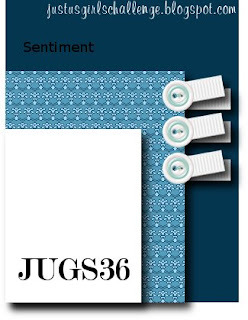 Now stop by the JUGs blog to see how the design team went digi! You can also stop by their blogs...they are listed on my side bar. 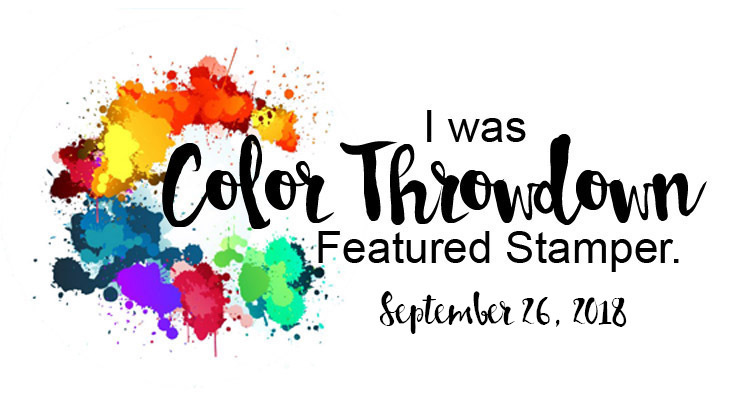 I'm going to have another post later today for the Paper Makeup Stamps review of their latest release, so make sure you stop by again! Thanks for stopping in today and have a great weekend! Paper Makeup Stamps is releasing their June stamps today and we are celebrating with a blog hop. We are reviewing all the new images and sets today. If you came from Shaela's blog, you are on the right track. If not, head on over to the PMS blog so you don't miss a thing. 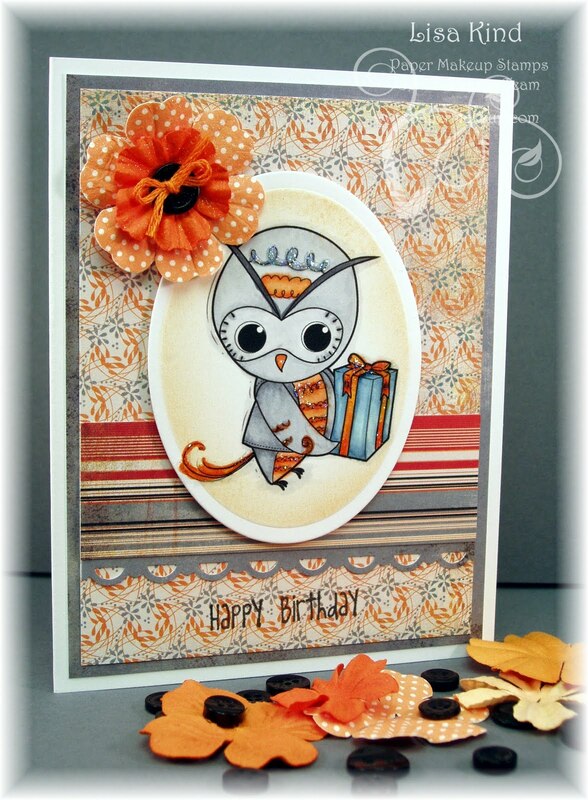 The girls have been creating some fabulous cards with this new release, and today is no different! 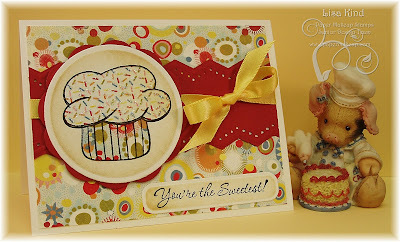 I have a card using the new set called Freckled Lemonade illustrated by Shaela! I really love this set! I love this image! I stamped it three times and colored all of the fruit on the first one, then colored only the lemons and middle strawberry, and then just the middle strawberry. They were all hand cut and layered. Here's a closeup of it. I added yellow stickles to the lemons and star dust stickles to the strawberries. The dp is Nook and Pantry from Basic Grey. Sometimes I think it's all about the dp, because I had about 3 different papers on my table before I came across this one and it all just fell into place! I used the sketch I created for the Just Us Girls sketch challenge for this week, and just flipped it. If you've ever hopped with PMS, you'll know that you have to gather letters along the way to get the code to get you 15% off the entire release. I have two letters for you and they are "O" and "N". Don't forget about our Release Party tonight in the PMS forum at 8:00 pm CST. There will be chatter, laughs, and giveaways. We always have a great time, so please stop by. 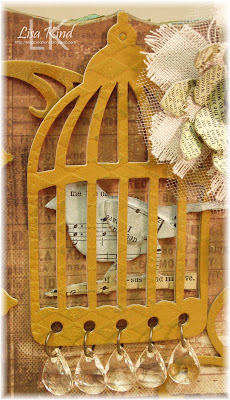 We are on day 3 of the sneak peeks for the June Paper Makeup Stamps release. Today we are sneaking a set called Tweet Things. 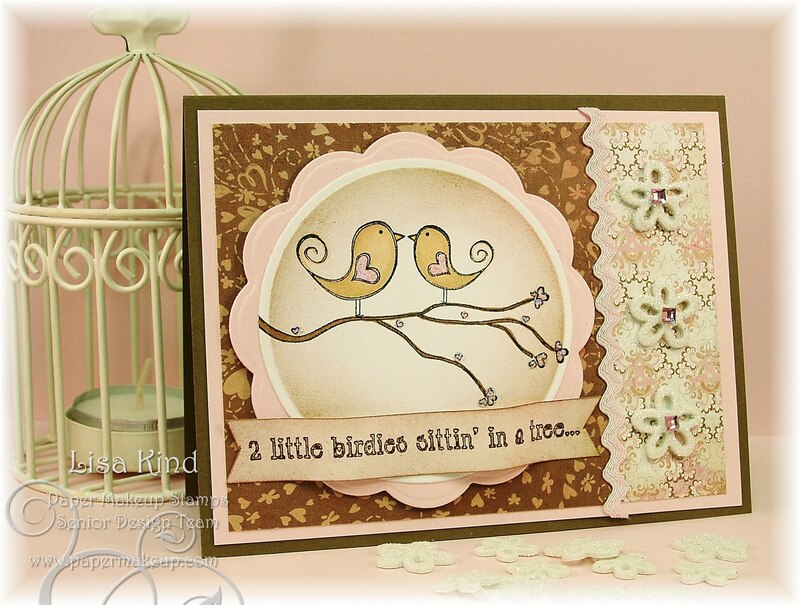 This set has four bird images, four sentiments to go along with them, and one word art. 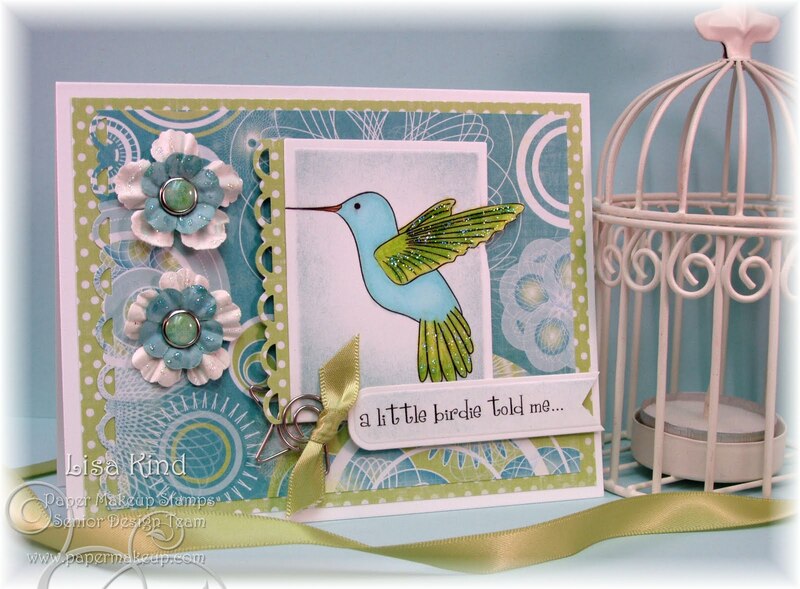 I have the hummingbird image to share with you today. Love this little bird. I used the digi form of this image (the entire June release will also be available in digi form, btw) and printed it out a little bigger than the rubber image. He's colored to match the dp from the Celestial Possibilities "Makeup Kit". The blue flowers, brad, star paper clip and ribbon are also from the kit. You can see the contents of this kit here and purchase it here. There are star dust stickles on his feathers. I followed the Release Party Sketch challenge for this card. You can find out about the two Release Party challenges on the PMS blog. Here's the sketch. I also followed the other Release Party challenge which was to simply use flowers on your card. A challenge that anyone can follow! Entering gets you the chance to win the entire release! We'd love to see you play our challenges! You can see more sneaks on the PMS blog, so head on over and see what the girls have done! Don't forget about the Release Party in the PMS forum tomorrow at 8:00 pm CST. We'd love to have you party with us! And we are having a blog hop all day tomorrow to review all of the new release. So please hop along with us! Thanks for stopping in today! I really appreciate your comments and what you think about the release! Enjoy your day! Happy Saturday everyone! 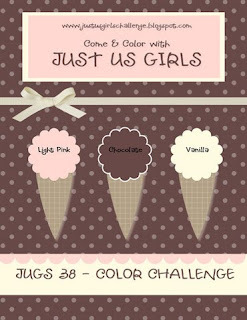 Just Us Girls has a sketch challenge for you this week created by me! I don't know what's gotten into me...I'm always using everyone else's sketches, not creating them! LOL!! Here's the sketch. This week, we are being sponsored by a digital company called *Wink *Wink Ink. They are giving away 3 images to one randomly chosen entry, and they have a free image you can download here. I chose a really cute dog image called Pup and Boots. I chose this paper from We R Memory Keepers' Hippity Hoppity line. I took the colors from it to color my image. 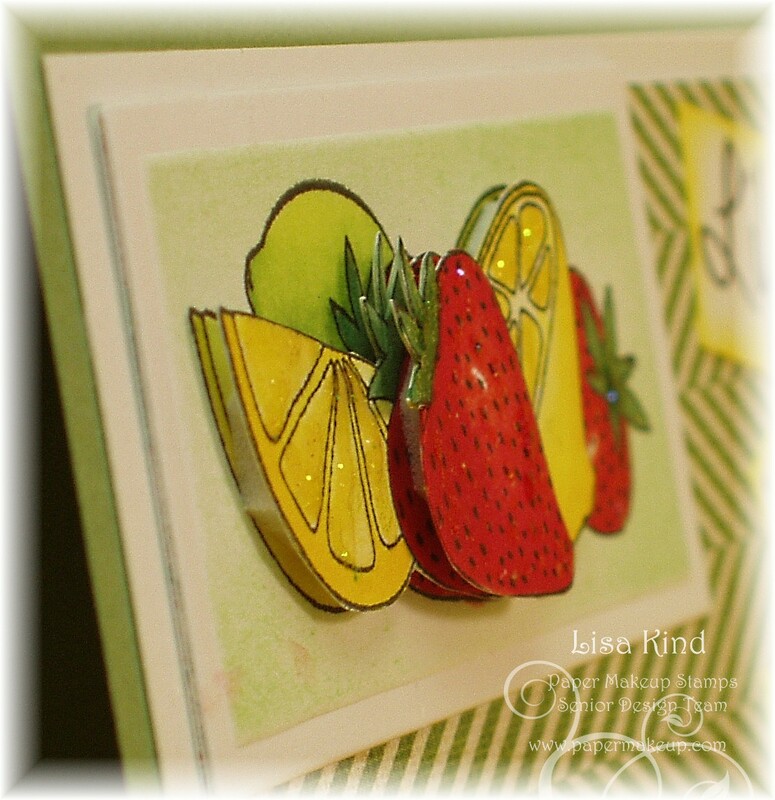 I backed the image with a piece of Yo Yo Yellow cardstock cut with a square scalloped nestie. 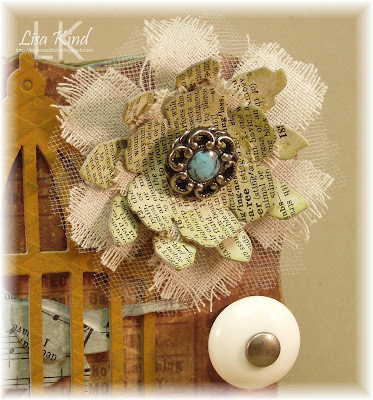 I rounded the right corners of the dp and cardstock and added the buttons and ribbon. The sentiment, from Paper Makeup Stamps Birthday Cheer set, was stamped in memento tuxedo black ink directly on the dp. I added star dust stickles on the tulips and polka dots on the boots, but it's difficult to see in the picture. You can see more of this sketch on the Just Us Girls blog. You can stop by the DT's blogs (their links are on my sidebar). We announced our two new design team members, Andrea Matthews and Kathryn Berthiaume, so if you stop by, leave them some love and congrats! 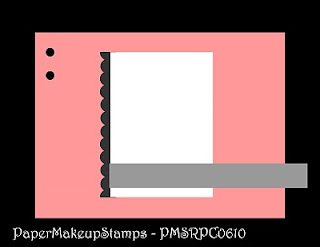 Today is day one of sneak peeks for Paper Makeup Stamps! We have another great release for you this month...perfect for summer! We are showing off all the single images today that are being released this month...the retro critters, word art, Moodys and monsters. I have a new critter called Webster (I named him!) the owl to share with you. Isn't he cute!? I fell in love with him the moment I saw him! These images are designed by Diem Pascarella, the same artist who designs our Beautiful Day Fairies. I colored him with the C, YR, and B copic markers (I didn't write them down). I took the colors from the dp, which is Ambrosia from Basic Grey. 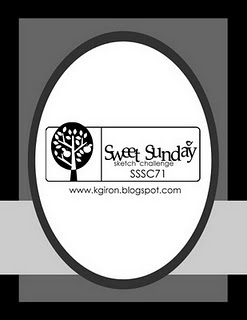 The sentiment is PMS from the Birthday Cheer set, and the sketch is from the Sweet Sunday sketch. Want to see more sneaks? Then head on over to the PMS blog and see them there. We will be sneaking on Saturday and Sunday and blog hopping on Monday. Then we'll have the Release Party Monday night in the PMS forum at 8:00 pm CST. Hope you are in for a fun weekend with PMS (when did you ever think you'd have fun with PMS?). LOL!